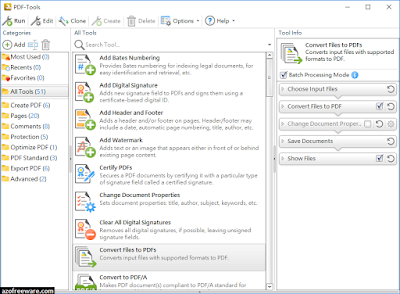 The all new PDF-Tools has been designed for both the creation (from Image file formats, Image Scanners/Web CAMS and text files etc) and manipulation of Adobe compatible PDF files, PDF-Tools is an ideal batch toolset to compliment your existing PDF creation application or as a 'stand alone' tool in it's own right! PDF-Tools requires no additional 'plug-ins' or applications such as Adobe Acrobat or Distiller. 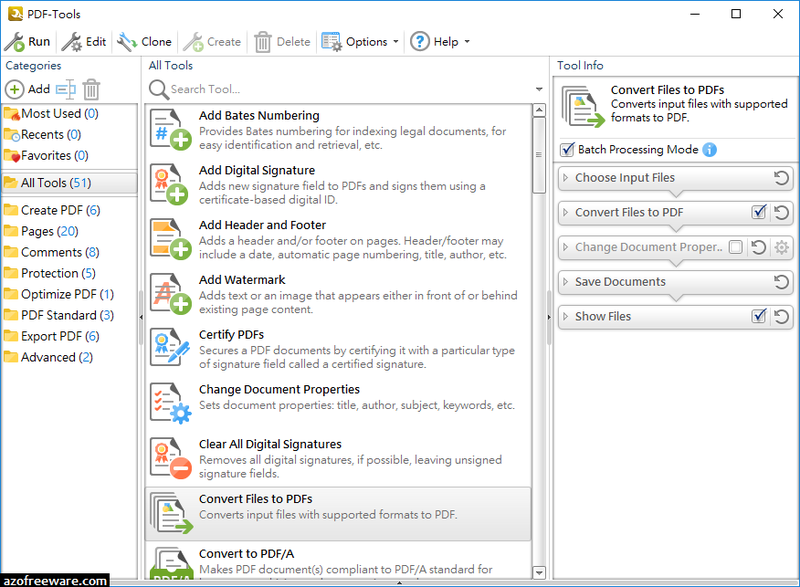 PDF-Tools comes with over 20 Standard Tools for creating or manipulating batches of PDF files based on sets of action objects. Users can not only taken advantage of the toolset provided, but can also clone and edit existing tools, or create new custom batch tools based on virtually any combination of available action objects, creating tools tailored for your specific needs.